Boy's sleeveless jersey. Transfer printed with a special design on the front and back. Specially designed for running. Contrasting trimmings. Semi-snug fit. Brightly coloured and trendy, the Levante sleeveless jersey by Erreà has been conceived for professional runners, for athletes who enjoy running under the sun, the arms unhindered. 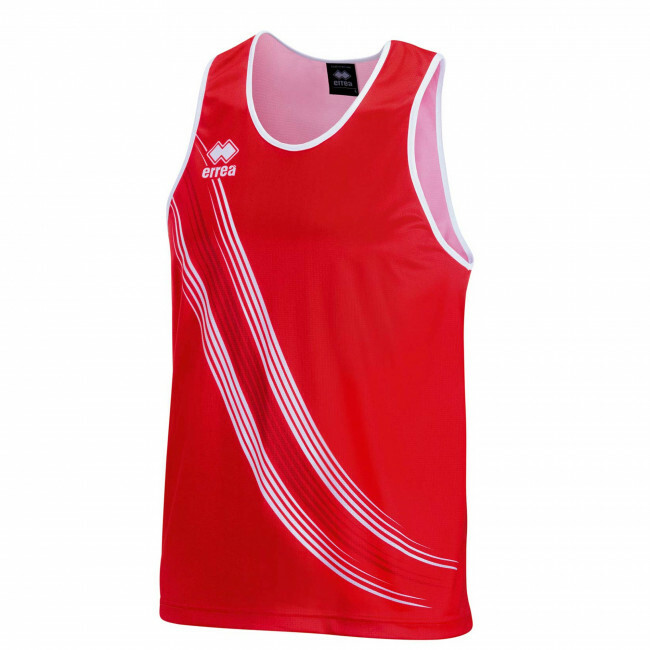 This running sleeveless jersey for boys is extremely lightweight, soft and gentle on the skin: it shall be your ally when you run, especially on very warm days. It will help you wick the sweat away and feel fresh. In addition to this, the Levante jersey has been conceived to reduce odour thanks to its special fabric that effectively reduces humidity. This model features a wavy pattern in the central part which makes your movements lighter and more flexible while running.